Download "Alcohol. And Your Health. Psychological Medicine"
6 Some may start to drink more so as to achieve the same effect alcohol had on them at an earlier stage. They may not be able to control their drinking, even when they wish to. For these people, stopping suddenly can lead to withdrawal symptoms, which are unpleasant sensations such as nervousness, shakiness, sweating, nausea and headaches. They may also have craving and urges to drink, which are difficult to resist. 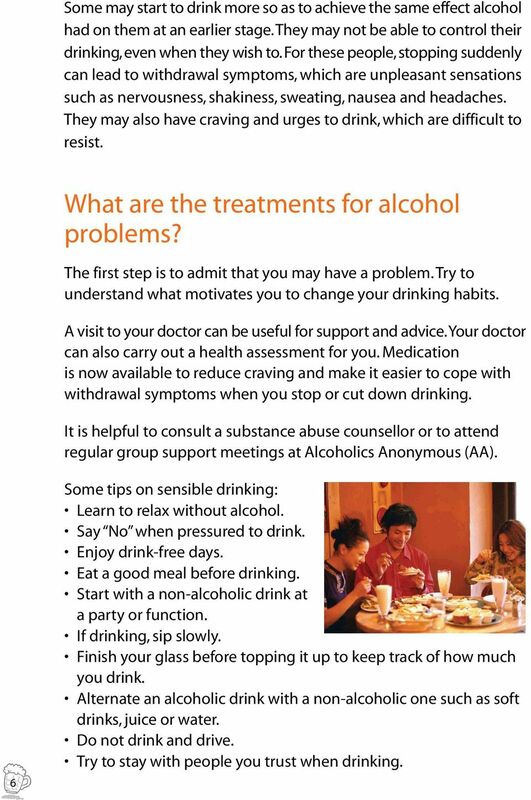 What are the treatments for alcohol problems? The first step is to admit that you may have a problem. Try to understand what motivates you to change your drinking habits. A visit to your doctor can be useful for support and advice. 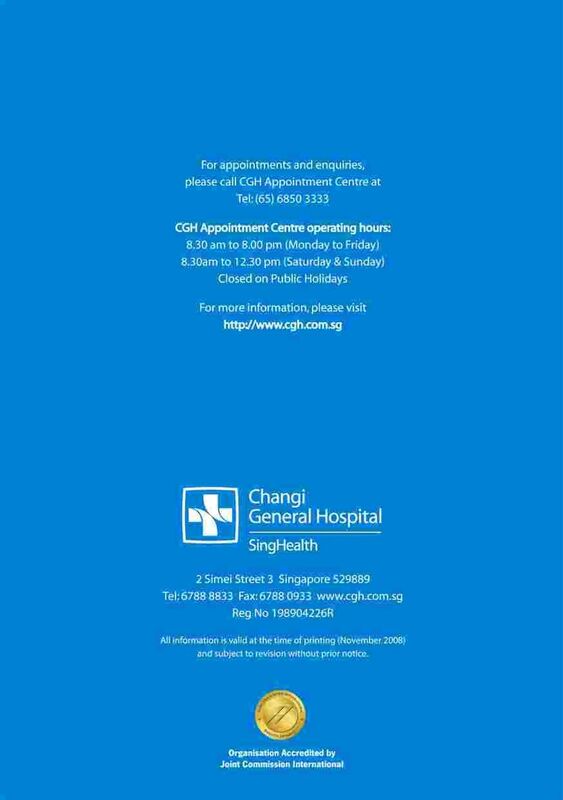 Your doctor can also carry out a health assessment for you. Medication is now available to reduce craving and make it easier to cope with withdrawal symptoms when you stop or cut down drinking. 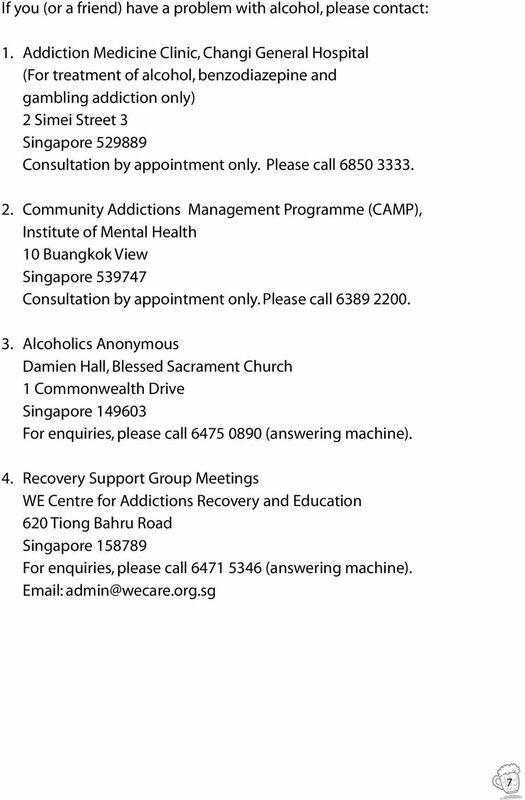 It is helpful to consult a substance abuse counsellor or to attend regular group support meetings at Alcoholics Anonymous (AA). 6 Some tips on sensible drinking: Learn to relax without alcohol. Say No when pressured to drink. Enjoy drink-free days. Eat a good meal before drinking. Start with a non-alcoholic drink at a party or function. If drinking, sip slowly. Finish your glass before topping it up to keep track of how much you drink. Alternate an alcoholic drink with a non-alcoholic one such as soft drinks, juice or water. Do not drink and drive. Try to stay with people you trust when drinking. ALCOHOLISM, ALCOHOL DEPENDENCE AND THE EFFECTS ON YOUR HEALTH. 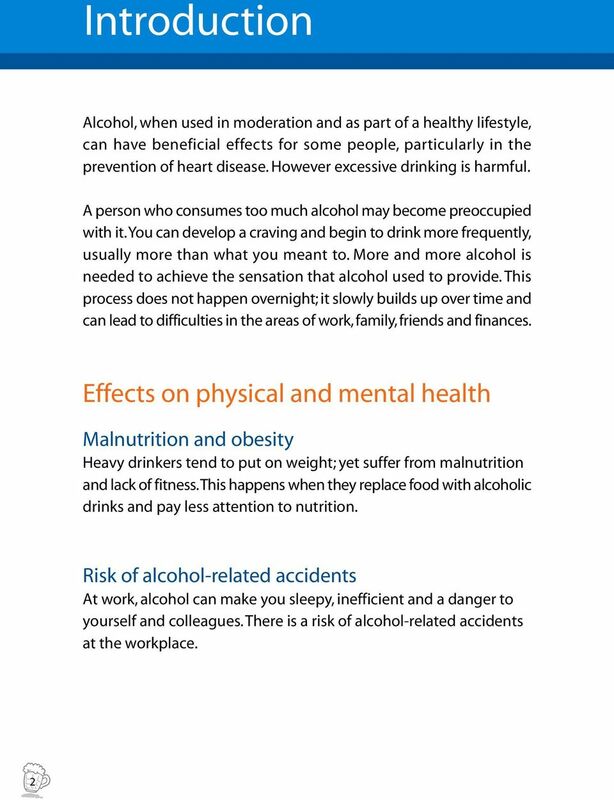 Page 1 of 5 Alcoholism and Problem Drinking Alcoholism is a word which many people use to mean 'alcohol dependence' (alcohol addiction). Some people are 'problem drinkers' without being dependent on alcohol. 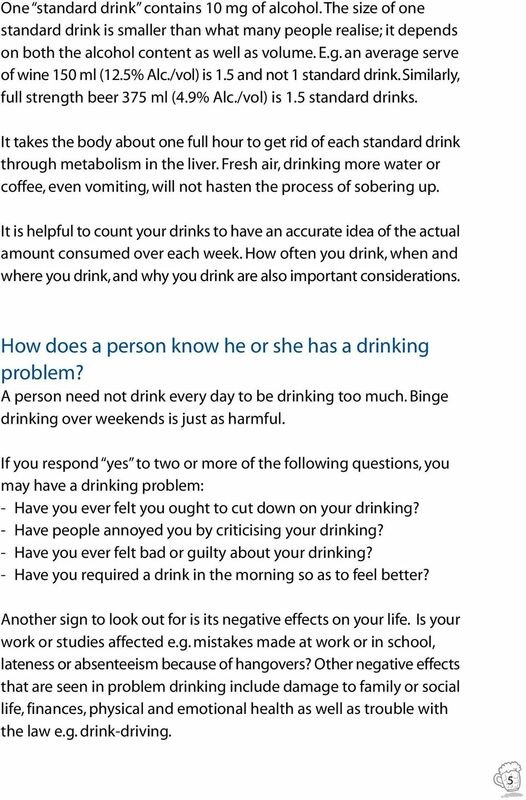 A Guide to Alcoholism and Problem Drinking Alcoholism is a word which many people use to mean alcohol dependence (alcohol addiction). Some people are problem drinkers without being dependent on alcohol. is more money, energy and control Thinking of cutting down? Need some help? This booklet is for you. Page 1 of 5 Alcoholism and Problem Drinking Alcoholism is a word which many people use to mean alcohol dependence (alcohol addiction). Some people are problem drinkers without being dependent on alcohol. If you re with child, be without alcohol. 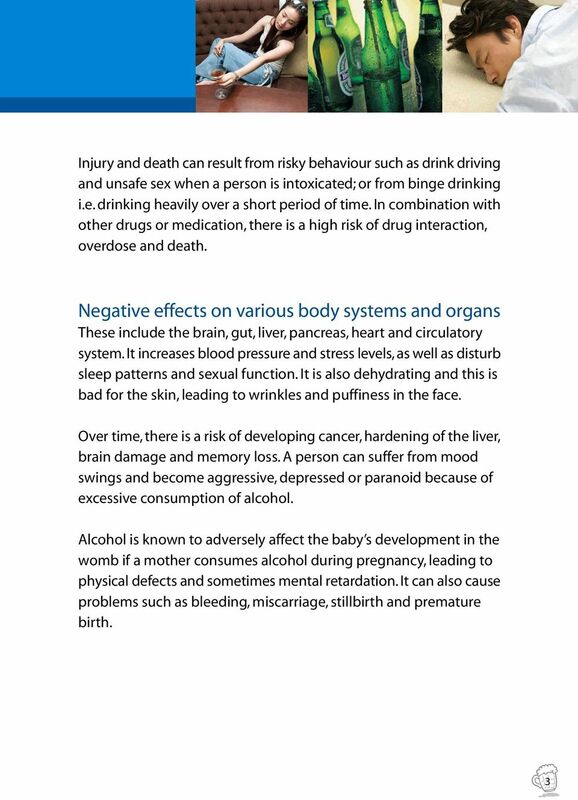 No amount of alcohol is safe to drink during pregnancy. Alcohol and your. health. Australian Alcohol Guidelines. Standard Drinks Guide. 0.7 285ml Middy/Pot* Mid Strength Beer 3.5% Alc. 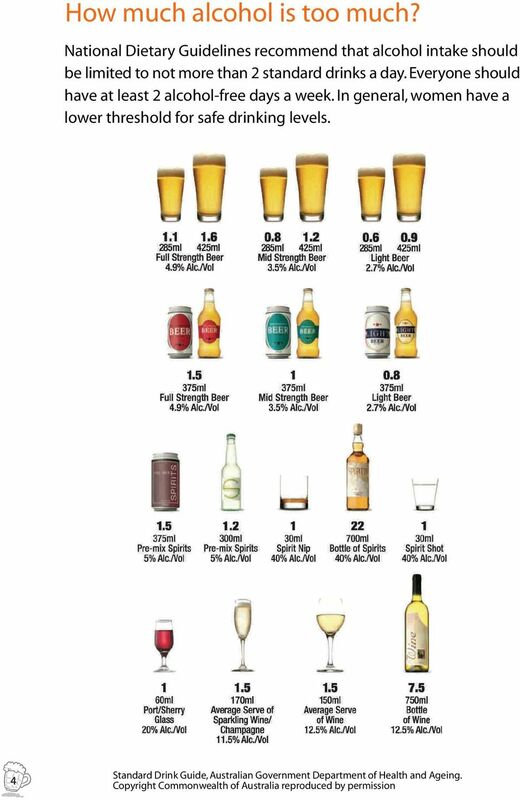 Alcohol information. 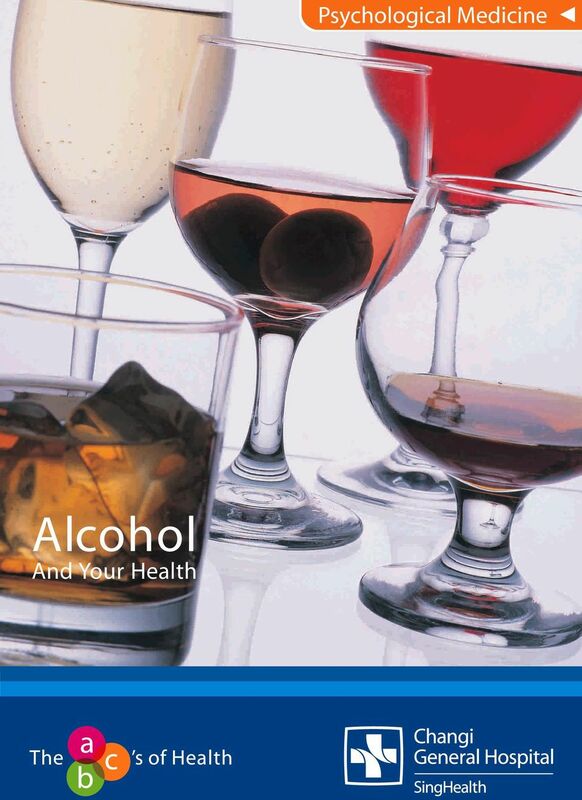 A standard drink contains about 10g of alcohol takes a healthy liver about 1 hour to remove alcohol from the body.